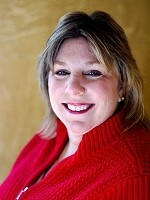 Leslie Mathis is a full-time, well-documented, proven real estate investment professional. Leslie buys and sells real estate by maximizing creative techniques to produce substantial profits with little to no risk. She invests by taking the approach that her main focus is on helping her buyers and sellers first, with the income following as a result. It is imperative for her that she creates win-win solutions for all parties involved in her transactions. She has mastered the art of and is a true transaction engineer, buying and selling hundreds of single family residences since her investing career began. Leslie is a published author, teacher, trainer, and mentor. For the better part of thirty years, Leslie has studied wealth creation and harnessing the power of the subconscious mind to obtain goals not only in real estate, but in every area of life. Leslie mentors fellow investors both here in Atlanta and across the country. This is where her real passion lies, as Leslie loves to enlighten, inspire, and help others succeed. She combines her success in real estate with her designation as a Licensed Professional Counselor and background in teaching, training, and counseling to provide a unique interactive mentoring experience that ensures success for her students. Leslie shares her expertise in marketing, business systems, and real estate with her students, which allows them to transform from doing single deals to achieving their goals of financial and time freedom. She is a native of Marietta, Georgia and grew up in a family of entrepreneurs. After a number of entrepreneurial ventures, she began investing in residential real estate two decades ago, when she bought and sold her first single family home. When she made more on this one investment property than she made in an entire year working her full-time job, she knew she was on the right track. She hasn’t looked back since, and wants you to know you can be a success also! Leslie is currently the leader of the Atlanta REIA West Subchapter that meets in Marietta, GA.
I’m the person who sat very close to you Wednesday at the 5 Seasons Brewery (“This Colonel Can Help”) – it was the first time I’ve attended a Joe Thompson organized meeting and it was quite impressive. Thank you for informing me about your Monday meeting for Atlanta REIA West and I hope to see you there. hello! im a newbie whole sale real estate investor, was wondering if you have any advice for my chosen field of study. thank you? Our advice is to get involved with a real estate investor club such as Atlanta REIA, learn as much as you can and develop the contacts you need to help you along your way. Hope to see you at a meeting or networking event soon! This meeting might be just what I’ve been waiting for and I look forward to seeing you. I’ve been wanting to do REI for the past 6 years, but didn’t have the resources or courage to get started. I would love to be counseled by you. Ron, thanks for your comments. We hope you get involved with our organization and visit the Atlanta REIA West Group and talk with Leslie. Met you at the Land Trust meeting. You were going to send me info on the Mobil Home you have for sale. Did you send. Thanks. Harold 678 395-5759. My name is Rodrigo Ruiz, I am a Real Estate Investor and would love to have the opportunity to attend to the Atlanta REIA West monthly meeting. I looked at your website and couldn’t find an “enrollment” button. I will show up today at the 6:30 PM meeting …. hopefully I will have the opportunity to introduce myself to you and to be accepted to attend to today’s session. In you have time, I would appreciate you giving me a quick call. My cell is 770 827 4716. Rodrigo, thank you for your interest in Atlanta REIA and Atlanta REIA West. I hope you attended the West Meeting last night and got a chance to meet Leslie. Be sure to try to make it to our Atlanta REIA Main Meeting on Monday, April 1st. I am interested in doing a speaking event if Atlanta REIA West would like to have a landlord-tenant lawyer give a presentation. Please contact me at your convenience so that we can schedule something soon.